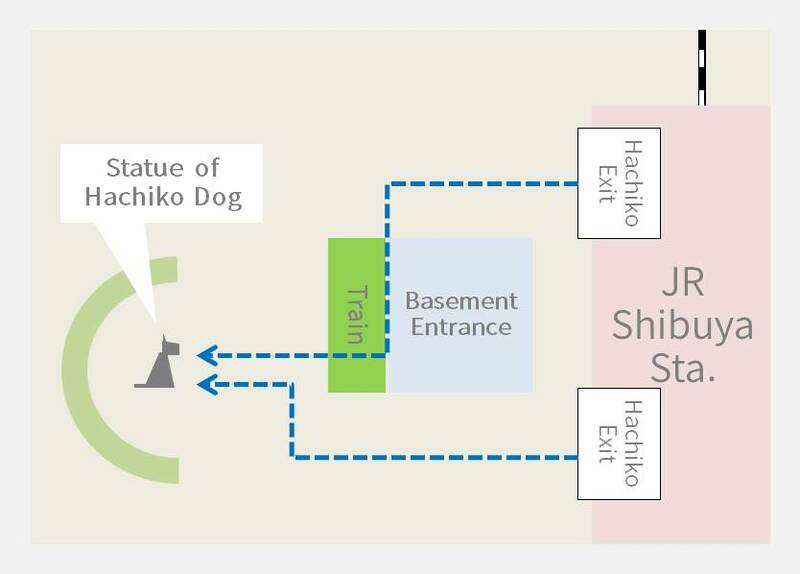 The statue of hachiko dog is a famous meeting point in Shibuya. It stands near JR Shibuya Station. Go past a basement entrance and a green train. There are many people around the statue of Hachiko dog.